What daily challenges do you face in running a pro shop and teaching? I guess the greatest challenge I face on a day-to-day basis is having inconsistent levels of footfall and attracting new people in to the shop. I have used different avenues to advertise my business and worked hard to try and stock the correct items within my budget to sell; I know I’m never going to please every customer but I try to get the correct balance. I don’t face too many challenges logistically in running a pro shop and teaching as I make sure I stay on top of paperwork regularly. I like to know exactly what is coming out of my business account and when, it is very important to me. There is a constant flow of new golf products – how do you manage your stock to serve the needs of your members and visitors? There is so much great product in the marketplace now and I am constantly getting asked why I don’t stock this brand or that brand. I know as a smaller store I can’t do everything, so I use the knowledge I have gained over the years being at my club to decide what the best manufacturers for my business are going forward. I do this by using the data from previous years’ sales to discover what price point products sell best in my shop. From there I nail down what I want to order at pre-book. I then have discussions with my sales’ representatives as to what the best approach for the upcoming season is going to be for my business and try and buy smart from there in terms of the shelf stock. As I have a studio pretty much every club I sell is custom fitted, so I know it is very difficult to buy the correct product all the time, but using previous sales’ statistics and trends really helps me manage that. This year I have used Simon Keeling, my retail consultant from TGI Golf, as a bit of a sounding board to discuss my approach for next year, which really helped me focus my mind on what I want to do and be confident in my choices. I try to plan, plan, plan! At this time of year, we are all going through pre-books and planning what equipment we are going to sell in the upcoming season. I also use this time of year to plan the events I want to run for my customers in the coming year. Once that is in place, I can build my diary up from there in terms of shift work for my staff and what I am going to be doing – working in the shop, teaching and playing. I do work shifts in the shop which is important to me as it allows me to keep on top of how my business is running. We have two junior sessions at the club, the Hi-Fliers and the Cadets. The Cadets section is for juniors who either have handicaps or are trying to gain their first handicap. As part of their membership the Cadets receive free group coaching sessions along with a number of free individual lessons; we also run away days for them and organise a few fun competitions during the year, which runs alongside their normal club competitions. The Hi-Fliers is the feeder section for the Cadets, we have 40 juniors on the books who receive free weekly coaching sessions between March and October as part of their membership. Are you trying to attract more women to golf? As a club we run free taster sessions for women, at these sessions we advertise our New-To-Golf scheme. This scheme has proved to be very popular and has encouraged many women in the area to take up golf or re-ignited their interest in the game. In the four years I have been at the club we have successfully integrated many women in to the membership. Do you have any programmes in place to make it easier to introduce beginners to the game? The New-To-Golf scheme was initially aimed at attracting ladies to the club, but over the last two seasons a number of men have seen it advertised and taken the opportunity to get into the game. 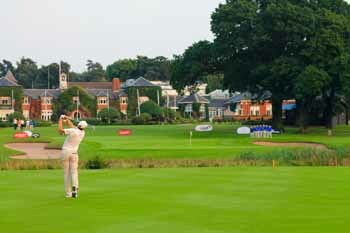 It has worked as it offers people a very attractive package that includes individual lessons, on-course playing lessons, the support of a PGA professional, use of the club’s practice facilities and clubhouse and once a good standard has been reached, use of the first four holes in off-peak times. This scheme is very reasonably priced and leads into a second year, again at a reduced rate, to encourage players to carry on and gain their handicap. I believe this area is extremely important – at my club we don’t have a long enough practice ground to provide a great fitting service. My first goal when I was given the job at Rochford Hundred was to provide my customers with a facility that meant there was no need for them to visit other stores to purchase their golf equipment or have lessons. Once this was up and running I decided to really get the benefit out of it from a coaching perspective, gaining a greater understanding of the technology, and linking that in to shot data in terms of performance would greatly benefit my customers. 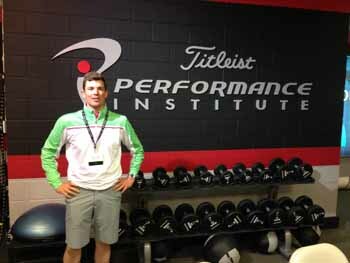 I decided to enrol in the TPI Certification courses, by doing this it has really helped me gain a greater understanding of not only how each player’s body limitations effects how they can swing a club, but it has enabled me to become a better club fitter. When did you join the TGI Golf Partnership and what was it about it that attracted you? I joined TGI towards the end of 2013; in my assistant roles both my head professionals were partners of TGI and it just made sense to me that the first thing I would do when planning for my new role at Rochford Hundred was to join the group. I was attracted by the feeling that if I was struggling with any aspect of my business I could pick up the phone to ask for some advice. 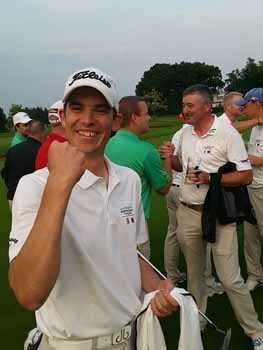 Has TGI Golf been of benefit to you as a PGA professional? It definitely has. The savings I made through being a partner of TGI Golf when fitting out my studio more than paid for me joining the group. And the advice received when deciding what to purchase has been extremely helpful. What year did you turn professional and what have been your career highlights, both playing and employment? I turned professional in 2003 and became fully qualified in 2006. Employment wise I am proud that I worked at two of the leading clubs in the south region as an assistant, Tandridge and Royal Mid-Surrey. During my time working under both the head professionals (Chris Evans and Matthew Paget) I was able to learn the key skills required to run a successful business and be a successful head professional. I believe this grounding enabled me to find the role I am in now, which I believe is the highlight of my career from an employment point of view. The processes you now have to go through to gain a good head professional role is demanding and there are always a lot of candidates for each position, so you need to make yourself stand out from the rest. Playing wise, one of the biggest highlights was winning the play-off for Team England and Wales in the first TGI Partnership Trophy at The Belfry! I turned professional off a plus two handicap and have won a number of regional pro-ams and events, I played on the EuroPro Tour for three seasons and managed to get through to the second stage of the European Tour Qualifying School. Playing is a significant part of my role at Rochford Hundred and the great thing for me is I still love this game and the members of my club enjoy seeing me out on the course playing in their roll-ups and support me by playing in pro-ams with me.